Testimonials | Wm. Masters, Inc.
Wm. 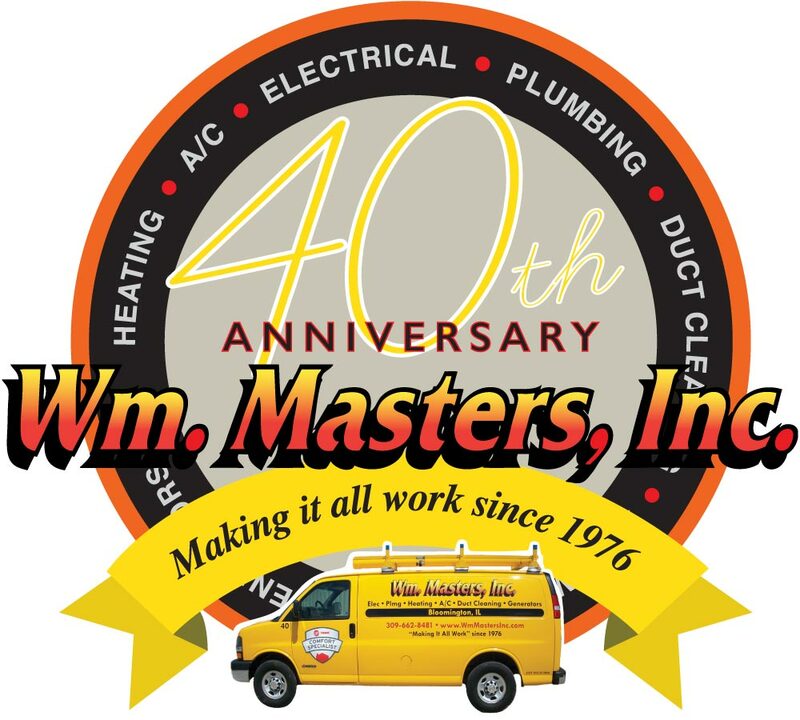 Masters takes pride in building lifelong relationships with our customers and community, and are grateful for the loyal customer base that has kept us in business for over 40 years. Wm. Masters is an A+ rated and accredited business with the Better Business Bureau. To help us spread the word about the service we provide and to continue to assist us in our efforts to improve the service we provide, we welcome customers to give us feedback and review our business and technicians. View Wm. Masters on Yelp and view and post reviews for Wm. Masters on Google here. THANKS SO VERY MUCH FOR ALL THE HARD WORK YOU DID FOR HABITAT THIS YEAR. Due to my son’s severe health problems, he would never have had a home, if it weren’t for caring people like you! Thanks so much! Two of your employees removed our old furnace and air conditioner and installed a new furnace and air conditioner. The purpose of this is to commend Sean and Josh on doing a great job for us. They were considerate, friendly, hard-working and did a fantastic job of keeping our house clean and in picking up after themselves. Good kudos to both! Also, Shawn McGuire, your salesman was most helpful, understanding, patient and really seems to care, even after the sale. Kudos to him also. Thanks. THANK YOU! Randy was great and displayed a genuine commitment to doing a good job. I appreciate the efforts he went to in getting our electrical problem solved. We will definitely use Wm. Masters again! Once again, I have received exceptional technical and customer service. I was so relieved that Daron had the experience and the inclination to take another look at the problem with my 30 year old in-wall garage heater. Loos like I won’t have to replace it, and that is welcome news before Christmas. What makes me feel really good is that he called to explain the problem, the fix and what I should do to prevent further trouble. Bloomington-Normal is a lucky community to have a firm like Wm. Masters and the fine people who work for you. I’m a big fan! Thank you again for the wonderful service. Your med were polite, experts in their job and very careful of my house. You indeed, have an organization to be proud of. AMAZING SERVICE! My furnace, hot water and exhaust flue all needed attention over the past 7 days. Your folks did a quick and brilliant diagnosis, brisk and quality repairs, and showed sincere concern and kindness to me as a customer and just another person! Follow-up call from Mike (the plumber) and your staff was a real bonus. Thank you! This letter of appreciation is to inform you of three of your employees that had a hand in seeing us get the correct type of generator we wanted for our home and then installed it for us. All persons were very courteous, polite, professional and didn’t waste anytime getting the job done. The first was Shawn McGuire, comfort consultant. He explained how the job would be done and answered questions we had. The other two that actually installed the generator was Brandon the electrician and Phil connected the pipes and gas. Again when they were done, they answered our questions and explained to us about how the generator would work. I hope this letter will be entered into their career file and each will receive a copy. We believe all three are an asset to Wm. Masters, Inc. Call us at (888) 380-9979. Call us at (309) 807-0491.